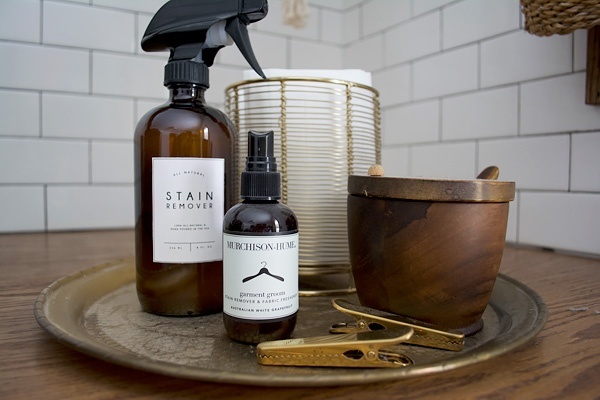 With another new year, we’ve all got organization and clean houses on our mind. 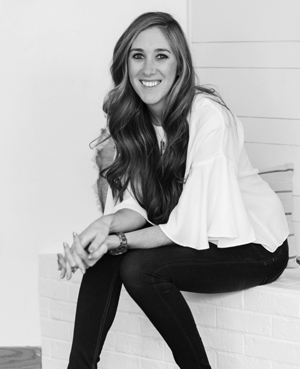 I’ll admit, I’m not the most organized person but there are a few things I wanted to share with you guys that make my life a little easier – particularly in the laundry room! 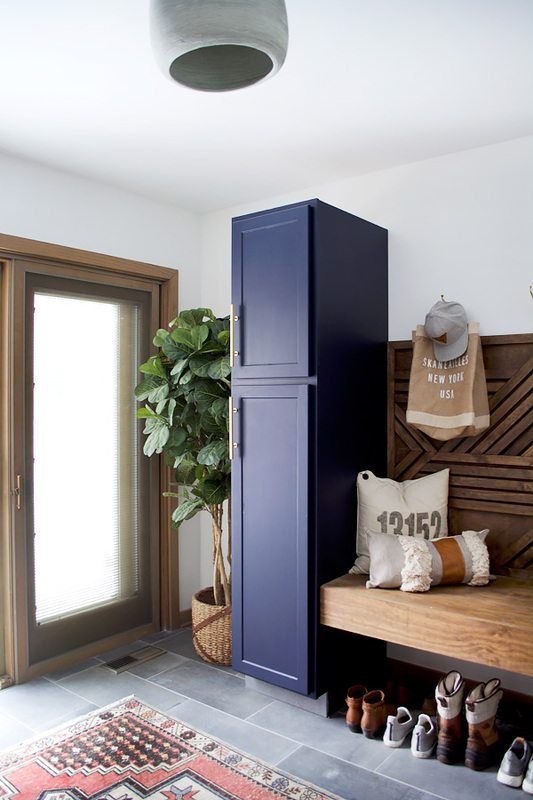 We’re very lucky that the size of our laundry room is pretty decent and we were able to incorporate a mud room as well as some storage cabinets. 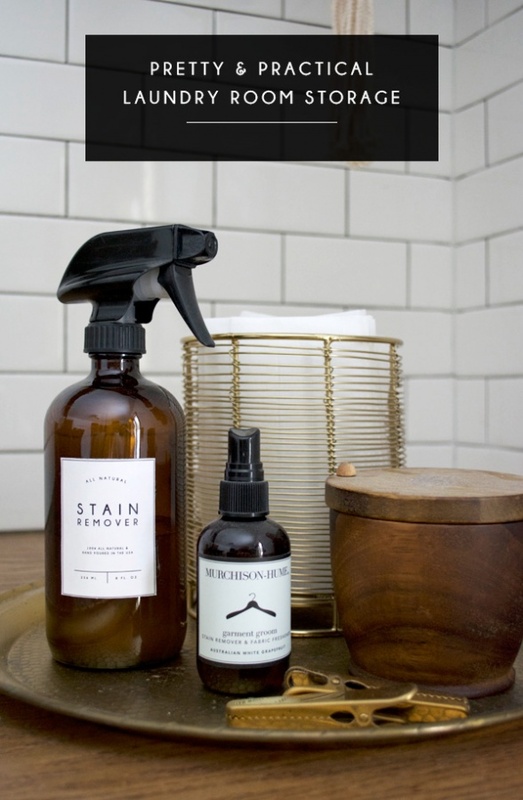 I knew I wanted them so I could hide away all the ugly bottles of stain remover and detergent and all that stuff. I quickly realized though, that it’s easier to have some of those things easily accessible and to keep them right out on the counter. But that doesn’t mean they have to be ugly. 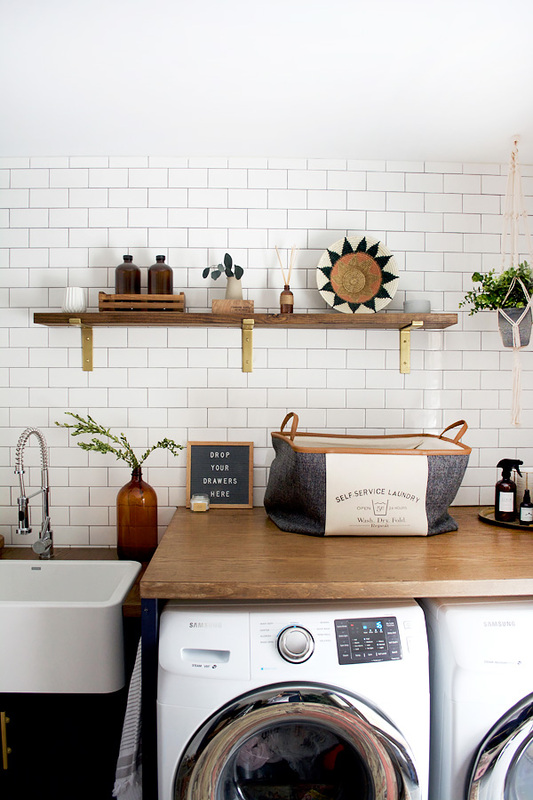 First up, is something I made when we completed our laundry room renovation. I didn’t have a spot to put a waste basket, but I knew there would be lots of garbage (anyone else’s husbands have pockets full of crap?!). Plus all the lint from the dryer would need somewhere to go. So I created this super cute little Lint Basket Storage but basically I put all kinds of garbage in there. 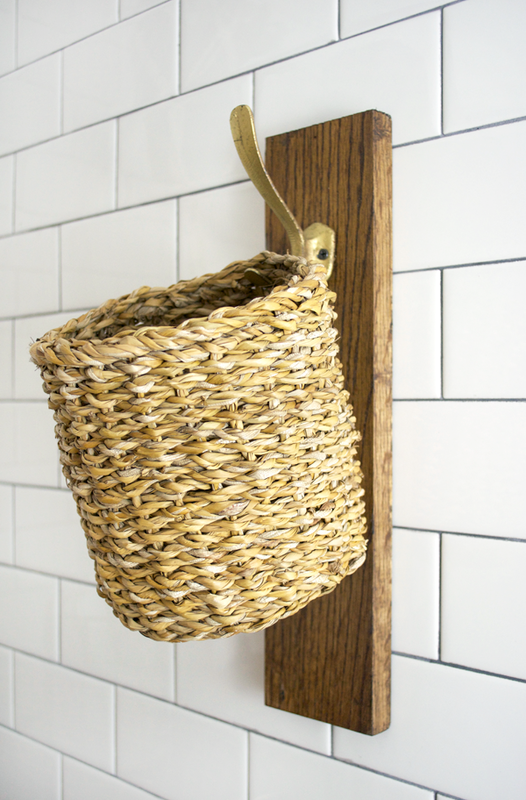 I used an old piece of scrap wood and stained it the same color as the rest of the wood accents in the room and then simply attached a hook and a little basket. We have sliding doors in our laundry room that go out on to our back porch, which is where we keep our garbage cans, so whenever it needs to be emptied, I usually just go dump it out there. 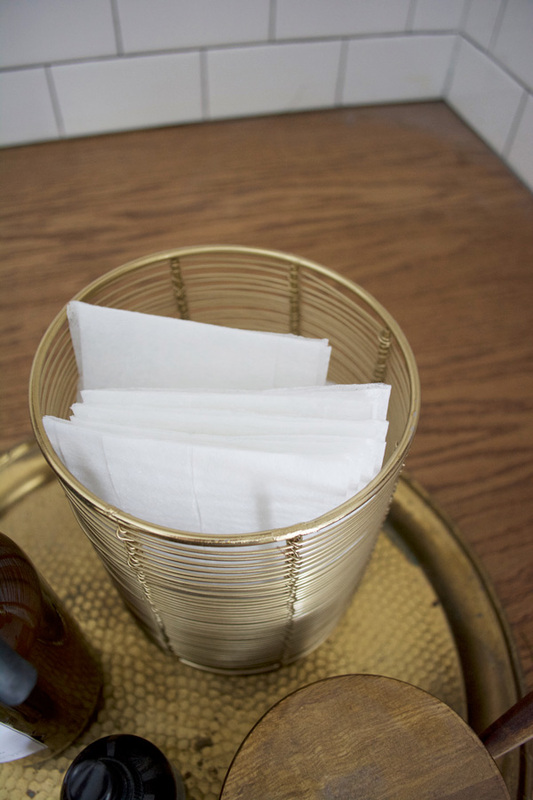 Next up is a prettier storage solution for dryer sheets. I recently converted to wool dryer balls but Dan insists they don’t work and still loves his dryer sheets. I found this cute little gold utensil holder at Target that I keep them in on top of a brass tray with some of the other items I’ll get to next. No ugly box and they are right on the counter and ready to toss into the dryer when I need them. Another thing Dan loves is scented crystals. And I have to admit, they do make our laundry smell pretty amazing. But I definitely wasn’t going to keep the ugly plastic bottle they come in out on the counter. 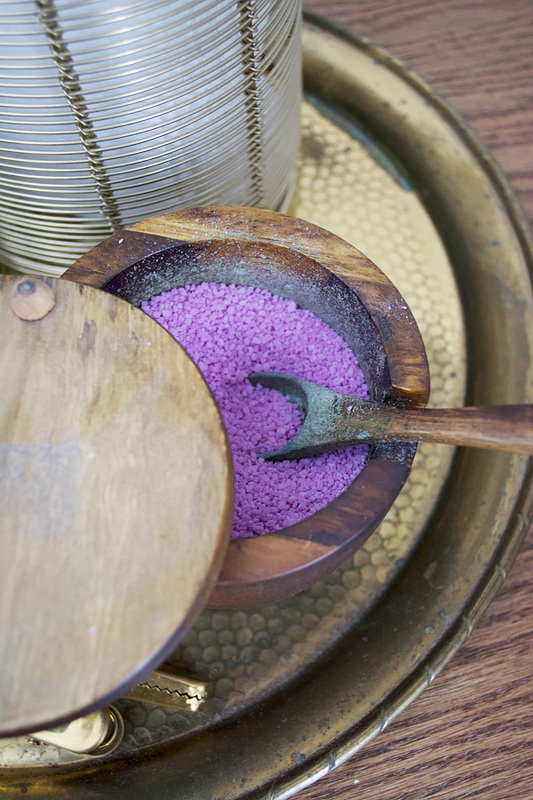 So, another little Target hack is to use a wooden salt well to pour them into instead. The one I got at Target isn’t sold anymore but I found this cute salt well on amazon that would work too! They also usually have them at marshalls or HomeGoods. I love that mine has a little spoon so I can just scoop them right into our laundry! 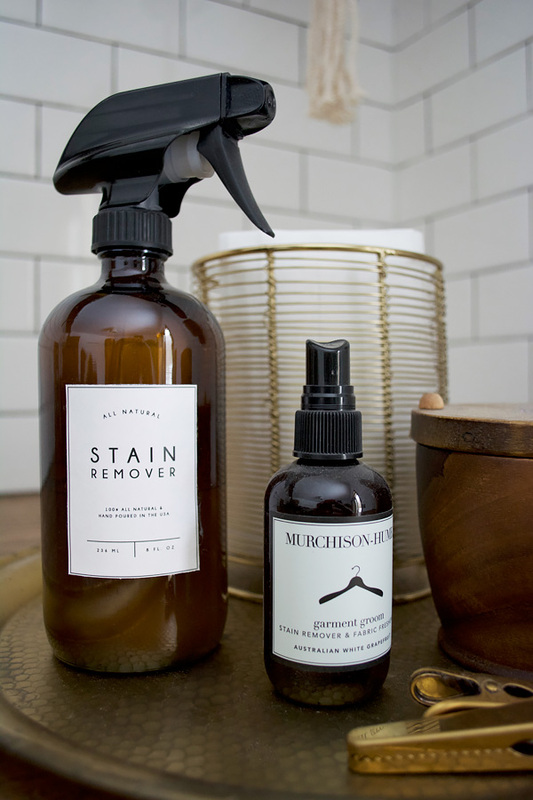 Lastly, I want to share how I store our stain remover. Since it’s something we use almost every day because #kids I like to have it out on the counter with the other stuff. But most stain remover bottles are totally ugly am I right? So I bought some amber spray bottles on Amazon, poured my stain remover in, and created a pretty label! I made these a couple years ago as well, along with some hand lotion and hand soap labels. 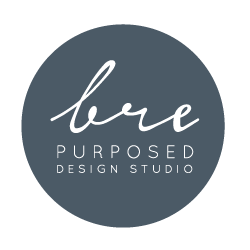 You can head to that post here –> Free Labels for Laundry Room Products or print them out below! 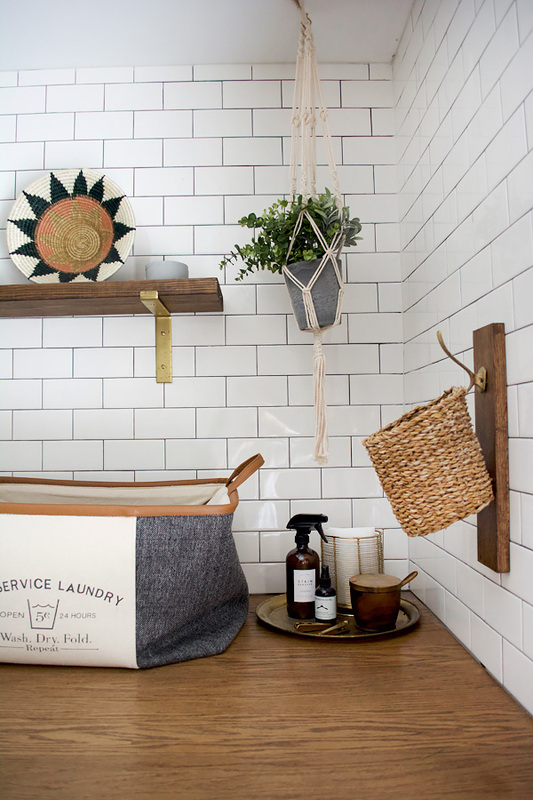 This little corner of our laundry room filled with all our most used products isn’t full of bright and ugly colored bottles, thanks to a few simple hacks and storage solutions. 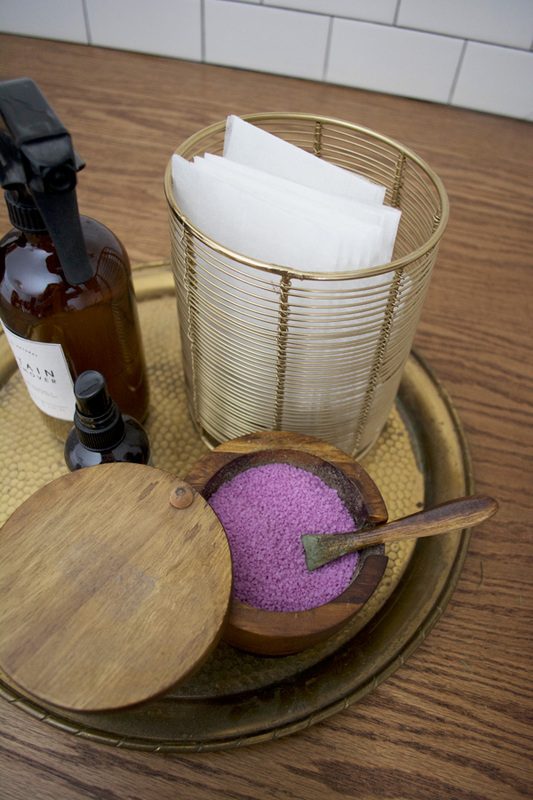 But if you’re tight on space, I’ve seen people store them in beautiful glass jars or containers! 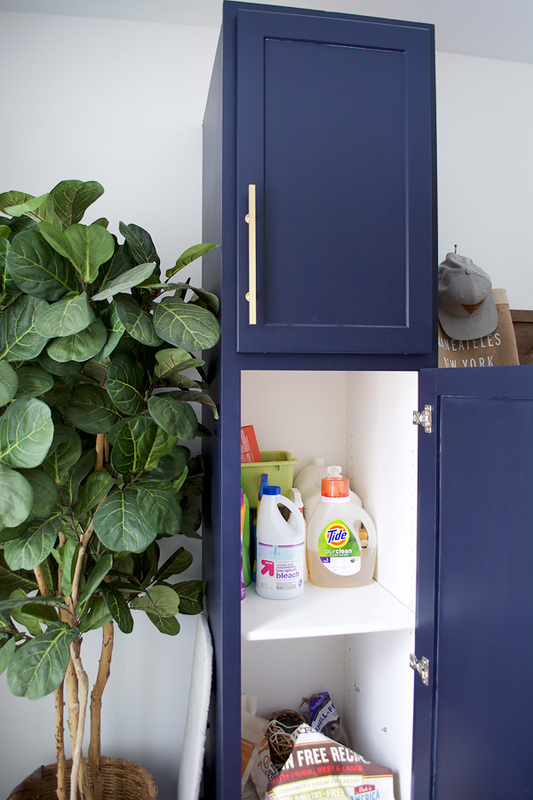 Hopefully these little hacks and tips will help you or give you some new ideas on how to store your most frequently used products in the laundry room! How did you attach the labels to the amber bottles? You have the most fantastic ideas! Thank you! Aw thank you! Glad you enjoy them! I’d like to know more about the crystals. Do you add them to the washer or dryer? What are they? I love the look so much! You’ve definitely given me inspiration to trade out my ugly bottles. Would you consider making a “detergent” label in the same style? It would be so awesome to have! I’ll put it on my to do list! 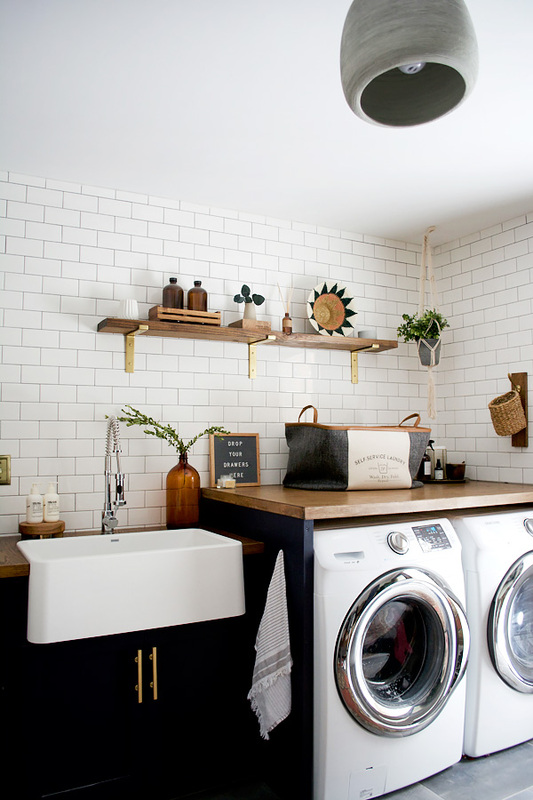 Wow, what a stunning laundry room! I am in awe! Aw thank you so much Christina!